Taking the boat early today to Downtown BA, where the YCA is located, rib trip from San Isidro up North with two boats in each side. 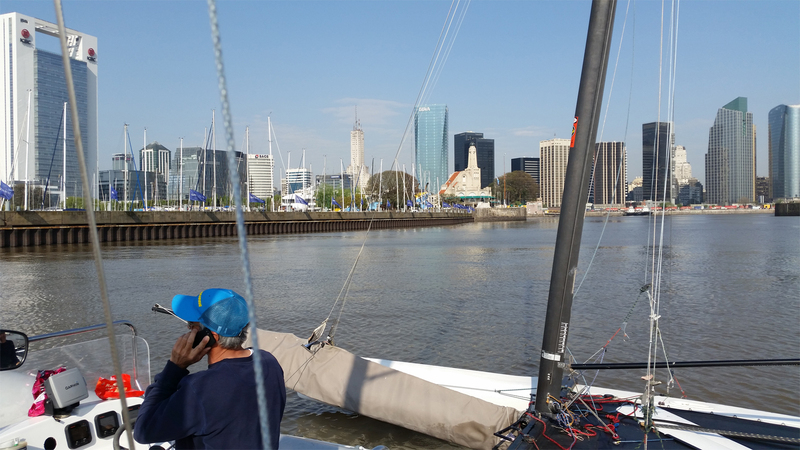 BA Week 2016 starts this weekend, with two weeks of racing, later Arg Nats and finally the Worlds in October 28. I will race finally a lent infusion from my good friend Javi Poclava as I couldn´t complete my own Exploder, but we will have good crew like Agustín Krevisky & Billy Lopez Segura racing one. Favorites are Cruz Gonzalez Smith & Mariano Heuser and Esteban Blando & Nico Quagliotti. Pablo Volker & Juan Martín Benitez going for it too. Matías Buhler will race with Sergio Mehl and will be another crew to watch. Need to catch up a bit after some long time not sailing Fs. Local fleet is super focused with a full month of racing ahead.